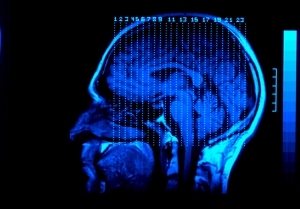 Have you sustained a serious brain injury in an accident? Whether you have a closed head or open head injury, a brain injury could have a negative long-term impact on your life. Many traumatic brain injuries lead to devastating results and sometimes brain injury victims sustain permanent brain damage. The brain is the main organ that helps control the body and when it is damaged in an accident, the victim could suffer serious consequences. If you or a loved one has suffered a brain injury at the fault of another, then we can help you seek the proper medical care and recover the full amount of compensation that you are entitled to. Speak with a Jasper personal injury lawyer at our firm today to get started on your case. Here at Warren & Associates, LLC, we over 23 years of experience under our belt and we are committed to protecting the rights and best interests of personal injury clients. See for yourself! Read about our case results and victories and find out how we can help you. Fill out a free case evaluation form today to get started on your case. We will get back to you as soon as possible. Need a lawyer for an injury case in Walker County? At Warren & Associates, LLC, we have seen the traumatic effects of brain injuries and the damage that they can cause to a victim and their families. Brain injuries can be sustained in a wide variety of ways including motor vehicle accidents, slips and falls, sports accidents, battery or assault attacks or a medical malpractice accident. In serious cases where the head trauma is significant, the victim could die or sustain permanent brain damage- this could cause them to remain in a vegetative state and be reliant on the care of others. If this has happened to one of your loved ones, then we can help you seek justice on their behalf. Let us help you go after the negligent party and hold them accountable for paying the damages. Looking for a personal injury attorney in Jasper? We are avid advocates for client rights and we want you and your family to be fully reimbursed and compensated for any present or future damages. We will guide you through every stage of your case and handle all of the legal paperwork for you. Our firm has been serving the Walker County community for over two decades and we stand ready to take on your case. Contact our firm today or fill out our free online case evaluation form to find out how we can help you collect restitution for a brain injury. Call us now at (205) 221-1044 for dependable legal representation in your catastrophic injury case.